Installs, configures, and maintains the organization’s LAN, servers and all workstations. Manages all users computer performance and maintains very high security of LANS. Works with multiple hardware and software platforms that are of a complex nature. Install, configure, diagnose and maintain LAN for the entire facility. Determine best possible solution for additional network access as the need prevails. Work closely with contract cable installers to obtain viable network cabling installation for expansion of the LAN. Analyzes products and recommends new products and services for both LAN and the computing environment. Repair computer equipment as needed to maintain the local user community. Holding down time to a minimum for computer hardware related issues are a must. Provide local interplant telephone support. Configuring phone system on a limited basis and provide troubleshooting function for the entire facility. Serve as member of team or project group in area of expertise as assigned by IT manager. Interact and cooperate with other IT professionals both in-house and contractual. Interact and cooperate with outside vendors protecting the company’s interest. 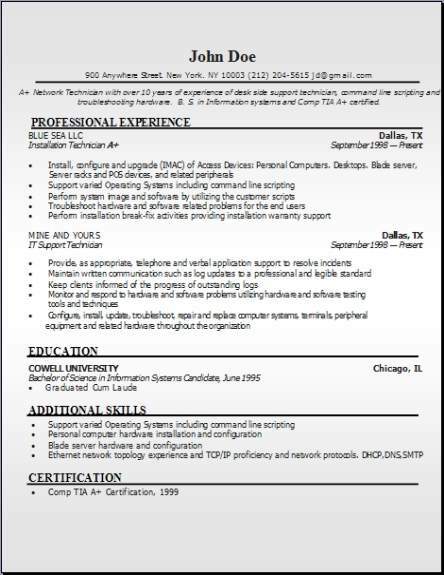 Want to become a Networking Tech? Most employers will require a bachelor’s degree that is related to computer or information science. Programs offered usually will include classes in networking, computer programming, or systems design. Another way to get started in this field is by getting certified. Certification programs are generally offered from certified providers like Microsoft or Cisco. 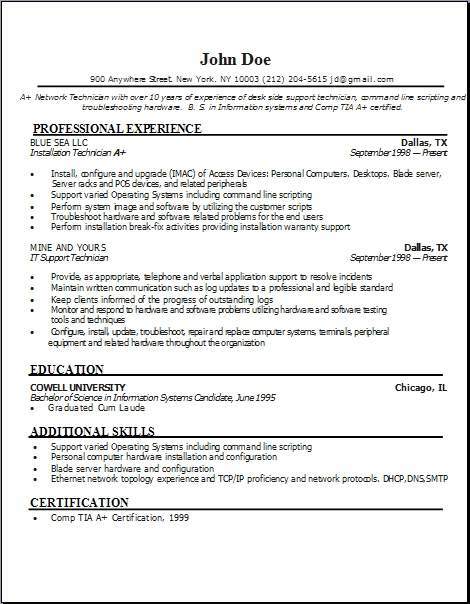 Although to move up to a networking tech you will need to have some type of degree. Some employers if you are certified may also pay for some of your training to get you where they want you to be. 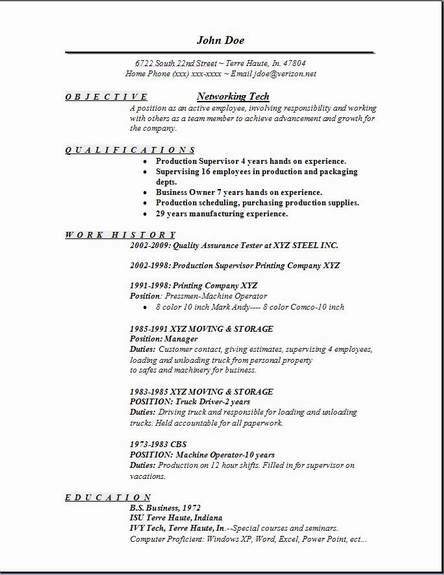 The 3 choices you see at the top are examples of resume templates for a networking tech resume.